After updating Acctivate, new components will install that may affect the existing installation. If one of these components fail to install during the Acctivate update, see the Acctivate Log to see which component it is. 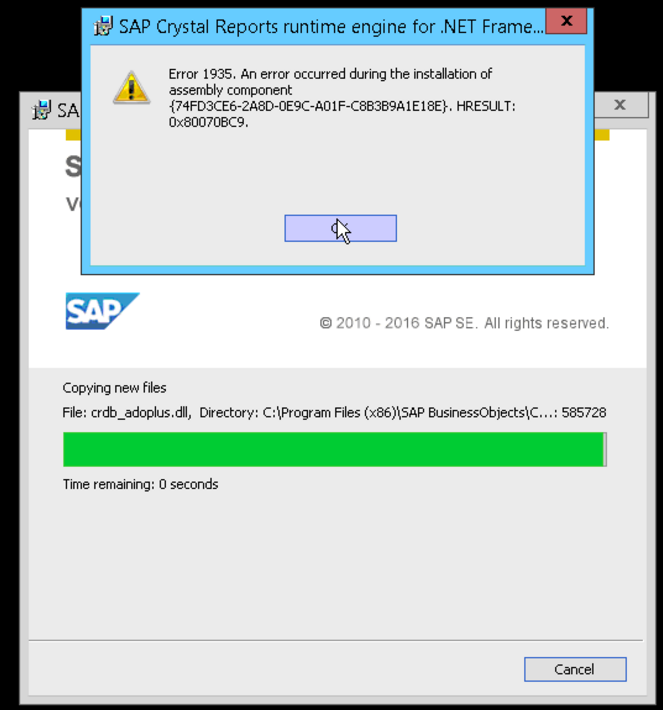 Since 10.3 crystal reports components were changed/updated which may display the following message in the log. You can attempt to install the component manually by browsing to “C:\Program Files (x86)\Acctivate\ClientFiles\” and running the file in admin mode CRRuntime_32bit_13_0_19.msi. If error 1935 is received during the manual installation, the might mean windows updates are pending. To resolve this, reboot the machine. It’s possible some windows updates are pending for .NET Framework which is causing the issue.